PARIS (AP) Formula One’s engines in 2021 will be noisier and higher-revving. They will also be more affordable. The new engine regulations set to come into place in four years could shape the future of the sport. Representatives from governing body FIA and commercial rights holder F1 met in Paris on Tuesday to present a roadmap for future engines. FIA president Jean Todt attended, along with F1 manufacturer representatives. High on the agenda was reducing engine costs and raising noise levels. Fans complain that F1 cars still aren’t loud enough, despite significant efforts this year to improve that. All the 2021 proposals have been jointly developed by FIA and F1 using data and input from teams, engine suppliers and outside experts. The overall framework for the 2021 engine will be published at the end of the year. But design and development will not be possible until 2019, meaning that teams must use the current engine designs next year. From 2021, teams will still use the 1.6 Litre, V6 Turbo Hybrid, but – crucially – it will be run at 3,000 rpm higher to increase noise. There will also be an option to save energy over several laps, thus giving a driver more tactical flexibility. Further recommendations are a push toward tighter fuel regulations, limits on fuel used, and dimensional constraints and weight limits on a mandatory single turbo. F1 also wants a more competitive championship with several teams in contention. 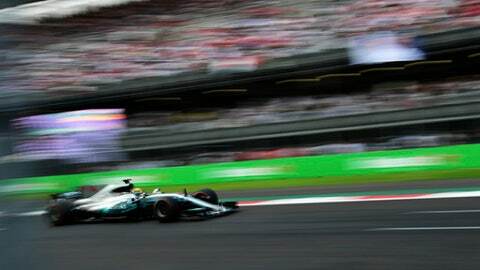 Last weekend, Lewis Hamilton clinched the F1 title in Mexico with two races to spare. Mercedes has won the past four drivers’ and constructor’s championships – three of them by Hamilton – while from 2010-13 Red Bull did the same with Sebastian Vettel. Things seem to be heading that way, however, with Vettel challenging for Ferrari until his sudden collapse late in the season. Red Bull has shown some encouraging speed lately. Another way of improving competition is to reduce spending, thus challenging the dominance of Mercedes and Ferrari. They are wealthy enough to run whatever engines they want, creating a lop-sided performance gap. Mercedes reportedly invests about 500 million euros ($580 million) each year on performance. But for smaller teams who do not make their own engines, like Force India and Sauber, it is often a financial struggle to buy them from rich suppliers like Mercedes and Ferrari. One way to control spending, as suggested at Tuesday’s meeting, is to limit internal design parameters and therefore discourage more extreme, expensive designs available only to top teams. Spending restrictions are expected to be discussed further next Tuesday at an F1 strategy group meeting in Gevena. Reducing budgets can help teams project several years ahead, rather than scraping for survival each year or even folding, the way Manor Racing did in January. Wiser spending is also more attractive to teams wishing to break into the sport.